A faux pas committed while using social media can easily become the failure heard round the world. It’s one reason that many in the corporate world are still suspicious of it. It’s also a make-or-break opportunity for a brand to either humanize or distance itself from its audience. Let’s take a look at a few examples. 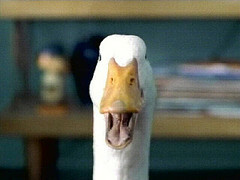 If you watch TV, you are almost certain to be familiar with Aflac and its spokes-duck. The duck was voiced by comedian Gilbert Godfried. Godfried had the poor taste to start cracking jokes about Japan in the midst of its ongoing series of tragic disasters. The Aflac incident began on Saturday, when Gilbert Gottfried, the comedian who supplies the voice for the squawking duck character in most Aflac commercials, started to post at least 10 jokes to his personal Twitter feed (@RealGilbert) about the earthquake and tsunami in Japan — a market that accounts for 75 percent of Aflac’s revenue. By Monday, Mr. Gottfried had been dismissed, effective immediately. Aflac has pointedly distanced itself from Godfried and stressed that his comments did not reflect that of the company or other employees. It remains to be seen what kind of backlash to the company’s bottom line might result. As someone who went through Hurricane Katrina and its aftermath, I can attest to the fact that disasters cause some truly unfortunate statements to be made online (and that is an understatement). So it’s not surprising that Godfried was not the only one to choke on the subject recently. And then there was a YouTube video by UCLA political science student Wallace, who complained about some of the ‘hoards of Asian people’ at the school who were talking out loud on the phone in the library while she was trying to study. She even complained about students checking in with their families affected by the tsunami and derogatorily imitated Asian languages. Wallace is reportedly now in hiding because of alleged death threats. No news on repercussions for Jackson. Ally Basak Russell, Esq., Compliance Manager for Hearsay Social, addresses the topic of recovering from a social media misstep by comparing two recent Twitter-related incidents, the now infamous Chrysler F-bomb tweet and the “drunken Red Cross” tweet, both occurring last month. Which response resonates with you? For me, the answer is simple: With the Red Cross, I hear the candid, self-deprecating, and lighthearted voice of a real employee representing the brand. I want to learn more about this person, how she made such a mistake, and how an international humanitarian organization came to hire a hardworking young woman who occasionally enjoys a few beers after work. Translation: I’m engaged. With Chrysler, I imagine a team of stoic compliance officers, marketing executives, and lawyers being called to an emergency meeting, only to come up with a generic and vague response when they put their heads together. Their response, at best, prevents me from searching for more info on the incident and, at worst, makes me think twice about a Chrysler for my next car purchase. Translation: You’ve lost me. That really is the important thing. Be human. Today’s audience is vastly more sophisticated, with a tendency for its members to roll their eyes at “corporate speak.” That eyeroll can easily become something much more severe depending on your response in the wake of a faux pas. No one likes to be fobbed off with a canned reply. Image by Oldmaison, used under its Creative Commons license.